Everyone has heard of the Spanish cities Barcelona and Madrid but chances are if you are not from Europe, you’ve never heard of Menorca aka Minorca, one of the Balearic Islands off the cost of Spain. Here is a high level look and 7 reasons why you should consider Minorca- the birth place of Mayonnaise for your next vacation spot. One of the many benefits of living in France is exposure and awareness to new destinations and holiday spots. Last year our family discovered one such place in Spain called the Balearic Islands. A place which we had never considered as a destination vacation spot until we moved to France. The Balearic islands mainly consist of four islands located in the Mediterranean sea that belong to Spain. They are Ibiza, Formentera, Mallorca and Menorca. Each has a character different from the rest of Spain and each other. Ibiza: With plenty of historical sites it is best known for the thousands of clubbers and gay visitors each year. . Many celebrities also visit Ibiza like P Diddy, Kyle Minogue, even Elizabeth Taylor used to hang out at Ibiza. Formentera: Much quieter, smaller and more rustic than Ibiza is the isle of Formentera which draws in a lot Italian tourists between July and August. Many of which come on package holidays. Mallorca or Majorca: By far the largest and best known Balearic island is an extremely popular vacation destination for Europeans from Germany, Ireland, Poland, Scandinavia and the United Kingdom. It has sun, high-rise hotels, charming old towns, gorgeous coves, bustling nightlife , hiking and more. It even has a pretty impressive Aquarium which my youngest daughter absolutely loved. Then there is the isle of Minorca located just 210 km or 130 miles south of Barcelona. Unlike some of the other Balearic islands like Ibiza and Majorca which have sprawling hotels and a active night-life, Minorca has remained relatively unchanged since 1722 and is perfect for the person or family looking for a more peaceful, relaxing, authentic and somewhat rustic getaway. Here are just a few reasons to visit Minorca, the most charming of all the Balearic islands in my opinion. Are you a morning person who loves sunrises? Minorca is the first place in Spain to see the sunrise. Just a little trivia for you. 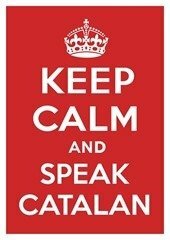 Even though Minorca and the Balearic islands are part of Spain, the official language is NOT Spanish, It’s Catalan. Catalan is an autonomous community inside a Spanish state as well as a very ancient form of Spanish which is spoken by almost 8 million people. Other places Catalan are widely spoken include the Valencian community, Balearic islands, Rosellon France, Andorra, Alguer Italy and Aragon. Due to it’s rich flora, fauna and scattered prehistoric sites, the entire 270 mile island was designated a Unesco Biosphere Reserve. As a result the island has remained relatively untouched by many unsightly modern developments. You will see no high-rise condos or massive hotels (they are not allowed to be developed on or along the islands 120 separate beaches.) Instead, tourists stay in rural hotels called agrotourismos, many of which are 17th and 18th century farmhouses converted to accommodate guests in old world style. If you love outdoor activities: scuba diving, water sports, cycling, hiking, golf, horseback riding and water sports than Minorca is the place to visit. Because of it’s Unesco designation, it’s landscape and natural beauty is preserved making it the perfect place to explore and play outdoors. In 1756, Duke de Richelieu landed in Menorca with 20,000 French troops in an attempt to kick out Menorca’s British rulers. During the Duke’s visit, he invented mayonnaise based on Allioli, the local Catalan variant of the garlic sauce Aioli. The original Allioli used only olive oil and garlic but later an egg yolk was add to make emulsifying easier. “All” means garlic in Catalan, “Oli” means oil. Some speculate that Mayonnaise was invented in the capital of Minorca in a town called Mahon (Catalan: Maó,Spainsh: Mahón), hence the new sauces name became Mahonesa or Mayonesa in Spanish, Maionesa in Catalon and Mayonnaise in French where it was first popularized and then took off all over the world to what we know today. If you or someone you know is interested in Archaeology, Boston University has a Summer program. It’s the Menorca archaeology & Heritage Management program which takes place at Torre d’en Galmès on the island of Menorca, Spain. The program consists of a six-week excavation campaign combined with lectures, laboratory work, and study tours of the island’s cultural and historical monuments. Who knows what you’ll dig up there. The noble Ciutadella, the bourgeois Mahon, the archaeological route through the islands talaiotic culture and the port of Mahon route. All of the audio is available for download onto your computer or music player in 5 different languages including English, French, Italian, Spanish and of course Catalan, the official language of Menorca and the Balearic islands. There are so many more reasons to visit Minorca island including the fact that you can go island hopping to the other Balearic islands. If you do go, just remember that you’ll probably need a car to get to many places. Many places are closed during the winder so consider going during the spring and summer. Also, be sure to bring some really good walking shoes.